Sissy: In the absence of Bubby this week I am doing something new in conjunction with something old, just to shake things up and see if I can get myself in trouble (when the cat’s away…). The NEW thing is that we are going to revisit some of our favorite reviewed authors of the past and see what else they have up their sleeves, whether new or old. 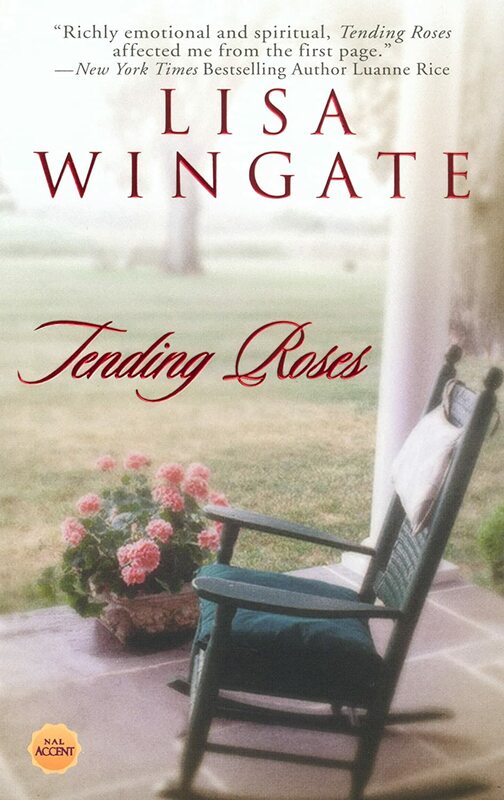 The OLD thing is Friday Favorites, which Tending Roses by Lisa Wingate qualifies for since it was published in 2001. Get it? (I’m also putting all my text in green, just because Bubby’s not here to stop me!). 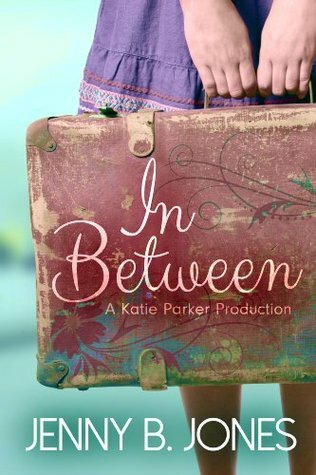 Now, I’ve got to tell you, I felt like the lessons Kate (the main character) learns through her grandmother’s story journal were universal, having application for me and for everyone. I just wish I could have perfect recall of them at the exact moment I needed them (and was about to do or say something stupid…). This story is so real, so human, so emotional–it makes complete sense that it was inspired by the author’s own feelings and experiences. Tending roses is a complex and heartwarming tale of family relationships, love, and plain old human life, and is well worth the read. I give it 4.25 bubbles, and I definitely plan to read the rest of the series! Bubby: Then and Always has just skyrocketed to the top of my all-time favorite books list. Turns out it was released in 2013 in the UK under the title “Fractured” and guess what? It made tons of best book lists over there too. And for good reason. There is a massive plot twist right in the beginning of the book, another about 1/3 of the way through the book and one or two more thrown in for good measure. Not to mention the ending. The ending! I so want to talk about THE ENDING! I must admit that I was bawling by the last page, but not necessarily because I was sad. The ending is perfect. And heart-wrenching. And oh so good. Sissy: Bubby read this first and told me I had to read it right away because it was one of those fantastic books. She said to me, “It’s like oh no! And then, what’s happening? And then wait, what? But ok, this is good, no! No! Wait! 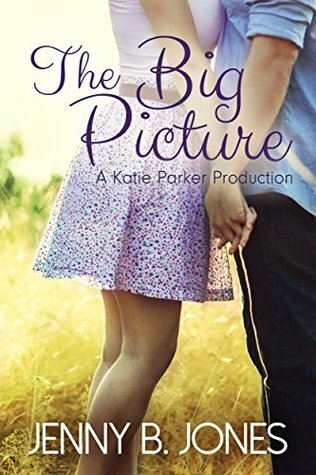 Oh, that’s so sweet!” Bubby was waving her arms about like a crazed loon and getting choked up just trying to describe the plot so I gave her a sedative and started to read Then And Always for myself. And guess what? Bubby was right, although I managed to convey that sans tears and lunatic ravings. Bubby: First off, I don’t recall being QUITE that dramatic about the whole thing. And secondly, of course I was right. I always am. Sissy: Right. *cough, cough. * This book caught me in its spell immediately and wrung me out with its emotional intensity. A good, “must continue reading until I drop” intensity, not a painful one. Rachel goes through so much in a short period of time, you can’t help being all involved in her feelings and reactions. Jimmy is sweet, loyal, loveable, and heartbreaking. Andy is complex. Cathy needs to be put down. The relationship between Rachel and her father is so lovely, you want to weep (I just wanted to weep; Bubby did all the actual weeping). Bubby: I am a deeply emotional woman who feels things strongly. Thus, I cry. Sissy: People who cry during boy band videos have issues. Still love you, though. Bubby: That was one time! Back to the book. I fell in love with the character of Rachel. I wanted so much to fix her life for her, to make her happy. I cheered when she was happy, cried when she was sad, and got really ticked off when that *unmentionable word* Cathy did what she did (more than once, mind you!). Every aspect of this book is so well done; the writing, the characterizations, and, oh my gosh, the plot? So original, and so riveting! 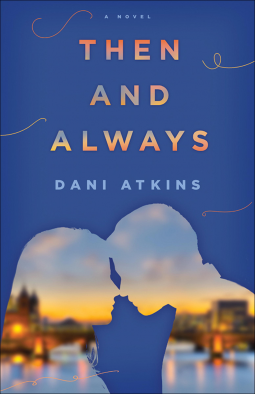 It’s almost impossible to believe that this is Dani Atkins’ debut novel. Sissy: The problem we are having in reviewing “Then And Always” (aka “Fractured” in the UK) is that the whole plot-twisty premise of the thing prohibits us from saying much, because we are not spoilers! As Bubby said, the story line is so unique and original, it was a captivating joy to read. You’re just going to have to trust us on this one. Bubby: Did I mention THE ENDING? It played out in my mind like a movie montage, complete with violin music and a slow, misty fade-out. Dani Atkins needs to be locked in a room with a laptop and some chocolate so that she can produce a novel every three months. And I will buy them all. Oh, there’s this one little bit where you think its going to get all naughty/steamy, but don’t worry. We shall protect you from too much naughty, never fear! I give it 5 bubbles. Sissy: I’m not sure of your methods, but okay! Lock Ms Atkins away so I can read more (searching for non-over-used adjectives) splendiferous books like this! 5 heartwarming/wrenching bubbles from me!! 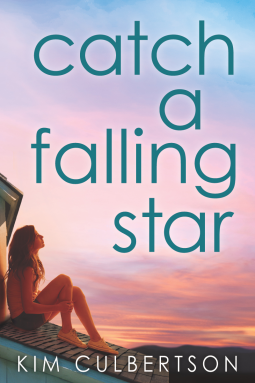 We received a copy of this title from Netgalley.com in exchange for a fair and honest review. 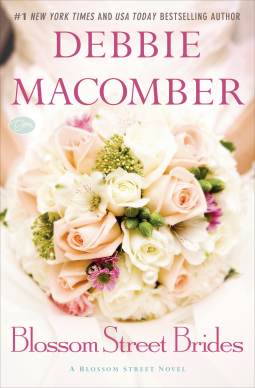 #1 Ne w York Times bestselling author Debbie Macomber has won the hearts of millions of readers with her moving and inspiring stories. Now wedding bells are ringing in the tight-knit community that gathers around A Good Yarn, a store in a pretty Seattle neighborhood. Knitters come to the store to buy yarn and patterns but somehow they leave richer in friendship and love. Bubby: Sometimes you just want a lovely romance novel with a guaranteed happy ending. Debbie Macomber always comes through and Blossom Street Brides is no exception. Sissy: Bubby stole my line. I was going to say that Debbie Macomber always delivers. So yeah, what she said. Bubby: Wow, Sissy. That was so insightful! Sissy: Bubby says I have to say something useful now. 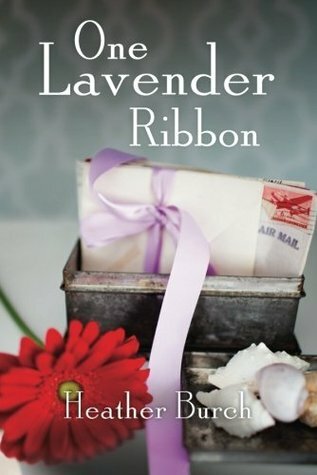 Macomber weaves a great tale of love and relationships, obstacles that you know will eventually will be resolved, and you enjoy the journey of how that comes to pass. Blossom Street Brides played like an a-list chick flick on the screen of my mind. Bubby: It may be a bit early for a beach read, but with Spring Break upon us, this is a perfect vacation novel. 4 bubbles from me. Sissy: If you deserve a happy afternoon of reading (and who doesn’t?) this is the book for you. 4 bubbles.